I'm a licensed psychotherapist and deal with people daily with anger problems. Driving is an area where we can easily get upset. It can ruin your day going to work or returning home. Learn tips to control this and keep a calm and peaceful mind. 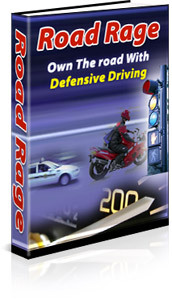 Road rage and driving anger is a problem that many people face. Whether it's due to slow drivers, drivers constantly on cell phones or other reasons, learn how to control this anger and stay peaceful. I am a licensed social worker and work with anger issues daily with clients. The ebook is only 3.00 and you can apply this to many situations each day where you build up anger.